Admission – I am a sweetaholic! Always have been and probably always will be. I’m starting to believe Jellybean, like her mommy-to-be, has a wicked sweet tooth as well. Yes, wicked … I am from Massachusetts and wicked is an adjective, promise! I’ve been tried out a lot of new baked good recipes over the last couple of months. 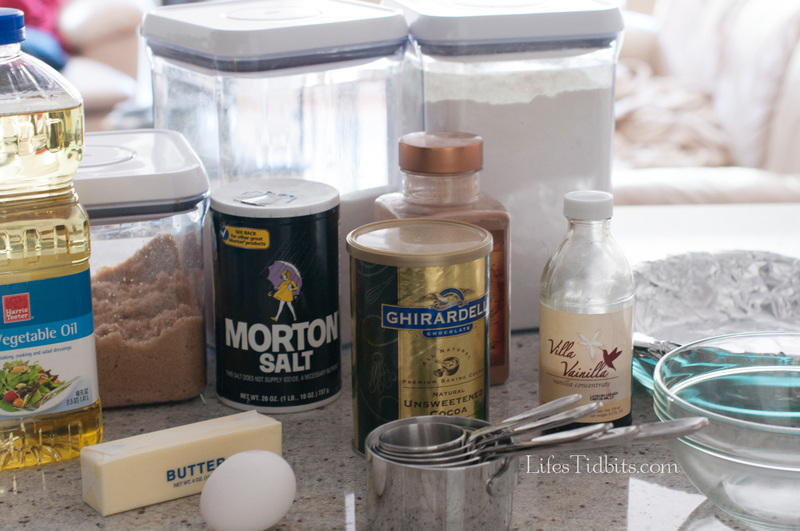 Two of my favorites are classic brownies from Smitten Kitchen and white chocolate brownies from Bake or Break. Recently I’ve been looking for new bloggers to follow when I stumbled upon Tin’a Chic Corner. 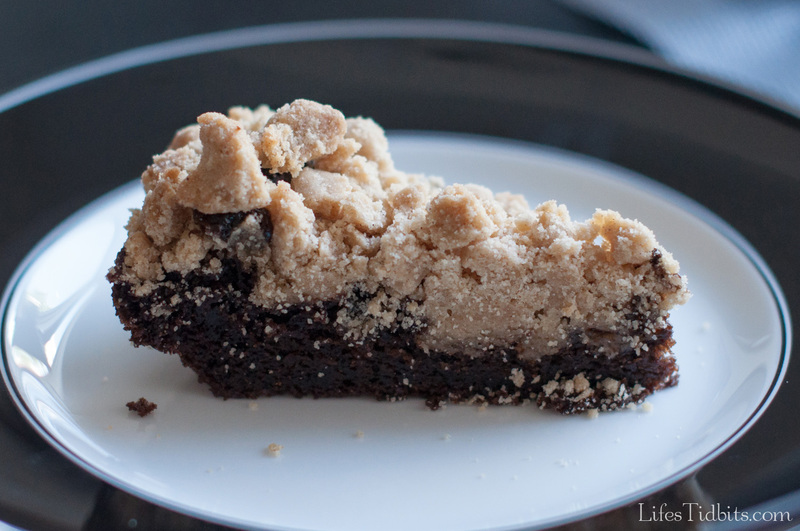 The chocolate crumb cake recipe immediately grabbed my attention. Last weekend the husbands were away for a boys “football” weekend so the girls and I decided to do a dinner/game night! I figured it was the perfect time to give this new recipe a whirl. Get the recipe and directions from Tina’s Chic Corner here. Although my crumb topping didn’t come our nearly as pretty as Tina’s the cake was absolutely DELISH! The girls all loved it. We even had seconds. The husband, who isn’t a big chocolate fan (seriously, what’s wrong with him?! ), really liked the piece he had when he returned from his trip. 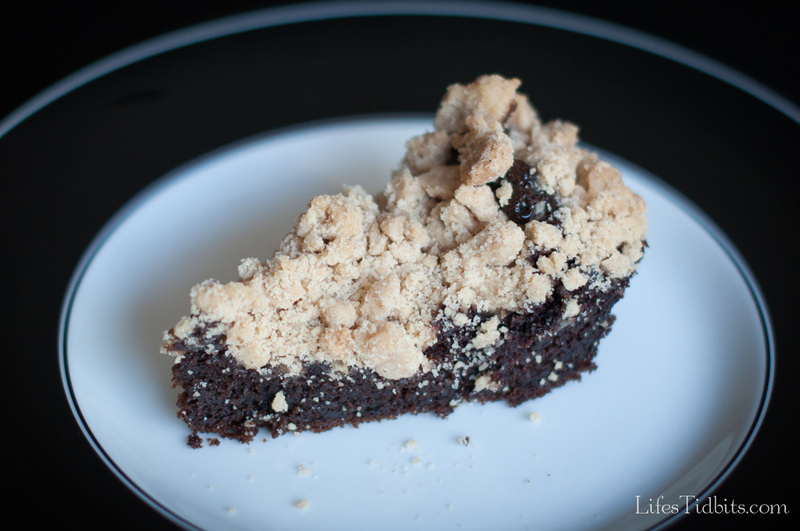 I will definitely be making this chocolate crumb cake again … and soon! Any recipes you’ve tried lately that you’d recommend? YUM! I love both Smitten Kitchen and Bake or Break too, so I”ll bet this cake is amazing. I’m a self-confessed dessertaholic too, but lately have been doing a pretty good job of staying out of the cookie jar. Next time I need a treat, I’ll be looking to this! Thank you, NIcole, for joining us at The Mixing Bowl this week! Pinning. 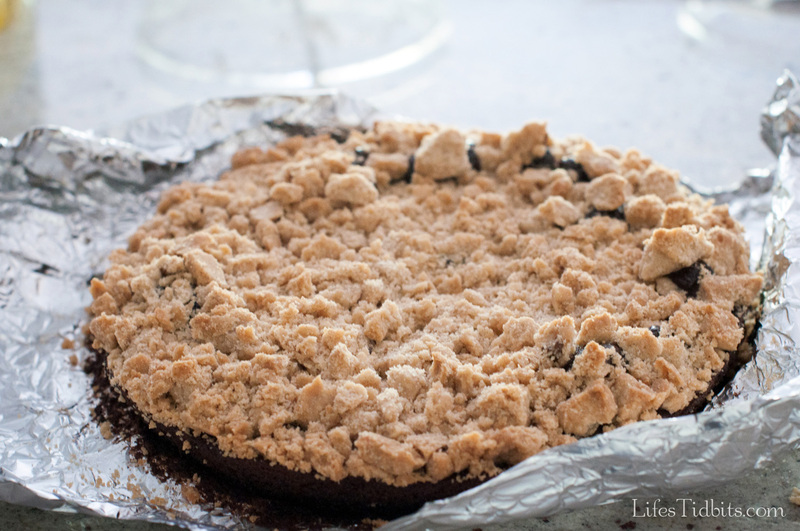 I love a crumble top but never thought of it with a chocolate base. I love this idea! I’m hosting a ladies night in at my house next week, I think I’ll add this to the menu. Thanks for joining in the Mixing Bowl Party!